Short Term Trading forex trading links forex trading books market statistics trader values euro and us dollar Shocks Crashing EURO: Is It Bottoming Out against the US Dollar? EURO: Is It Bottoming Out against the US Dollar? ﻿In the US, a compromise over the fiscal cliff is in the cards, as the economic growth stays weak. The eurozone, on the other hand, is still in recession, but the worst might be over. The technical picture of the EURUSD is pointing to a move to 1.29/1.32 short term. Europe: The tail of the crisis stings. The euro has been correcting since mid-October on incertitude over the eurozone crisis. With Greece once more in the game, and Spain eventually accepting E.U. financial help, the euro currency could restart the up-trend, which should last until year’s end. The first target is 1.29, then 1.30 and eventually 1.32. It is true the eurozone is officially in recession. For the second time in a row, the GDP fell 0.1% on a quarter-to-quarter basis. Yearly, the GDP is now -0.6% after having declined -0.4% year-on-year in the second quarter. Private consumption remains cupped by the austerity measures of the past few years. As a result, domestic demand is still subdued. The good news is that the numbers have not worsened. They have actually improved slightly and the E.U. is shifting its policy from austerity to growth. As an example, in Germany and France, the GDP rose by 0.2% in the third quarter. Other European economies, most notably Spain and Italy, contracted again recently, although at a slower pace compared to the first part of the year. Local demand should remain weak for the time being, but the worse might be over for the eurozone. The euro should soon resume its up-trend. Bad numbers are expected and therefore discounted by the financial community. Technically, the European currency is building a strong base on a few lines of support including the lower Bollinger bands and the 100-day moving average against the US dollar. In addition, the market is oversold and there is a divergence between price and the RSI indicator on the daily chart. 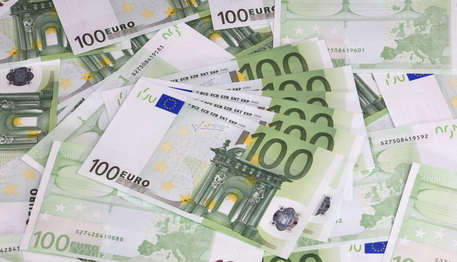 Finally, December is one of the best months for the euro against the U.S. dollar. The recovery might be strong and could reach 1.36/1.44, over the medium term. The US dollar is set to decline again. The long-term bearish cycle that started in 2002 is still ongoing for the US dollar. It should end along with a peak in commodity prices like happened in 1980 and 1995. When could it be? Since the 1930’s, bull trends in commodities have stretched for 12–13 years before peaking. As a result, 2014 or 2015 could act as guidelines. The US dollar will stay under pressure until the huge deficit is reduced. Nonetheless, the “fiscal cliff” is the first challenge. A compromise between Democrats and Republicans will eventually be found, as nobody wants to hurt an already very mild recovery. In fact, after three consecutive increases of about 1% each, retail sales fell 0.3% in October. On the other hand, industrial production fell 0.4% pressured by the decline of 0.9% in manufacturing output. Overall, inflation remains low at around 2.2%. World economies are in better shape than last year. Europe being in recession is nothing new. However, the eurozone debt crisis should be over with the willingness of the ECB to buy unlimited bonds of the countries in need. A more stable financial situation should increase confidence and improve consumption, but results in the “real economy” might be seen only in one or two years. In Asia, the Japanese economy is contracting. Nevertheless, the Chinese economy could recover some in the last part of 2012. Industrial production and retail sales remain strong. Exports are improving. They will remain nonetheless a challenge in the months to come with the eurozone still struggling and the financial cliff not yet resolved.